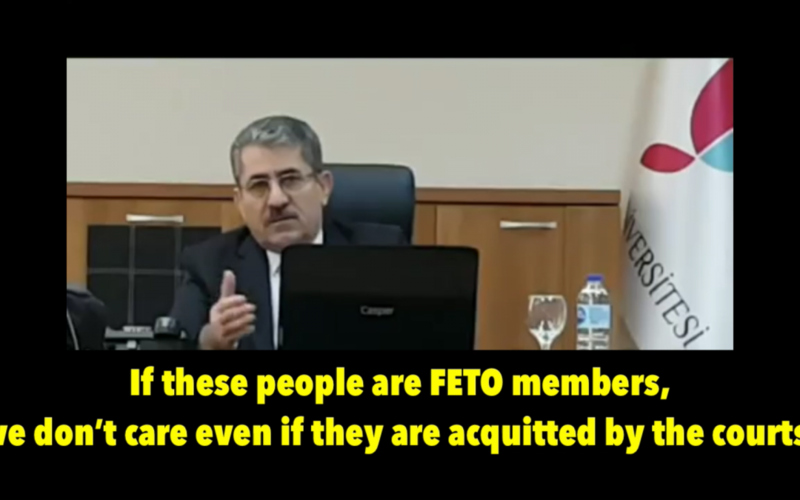 Suat Cebeci, the recently-appointed rector of Turkey’s Yalova University has revealed during a press meeting that personal opinion weigh on trial by courts when it comes to dismissals in the country. Turkish government blames Gulenists for the July 15, 2016 failed coup while the latter denies involvement. More than 150,000 people including thousands of academics and university personnel have lost their jobs over Gulen links since the summer of 2016. FETO is an abbreviation the government uses to describe the Gulen group as a terrorist organization. WATCH If you ever wondered how Turkish academics are removed from their jobs!